Oleg Mozohin. Biography. | Interportal "Fascism-XXI at your door"
Home » Oleg Mozohin » Oleg Mozohin. Biography. 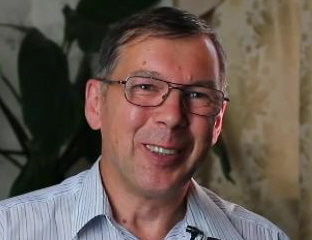 Oleg Mozokhin was born in 1956. Colonel, Professor of the Academy of Military Sciences, PhD in jurisprudence, senior researcher, professor at the Academy of Military Sciences. Since 1979 served in the state security services. He graduated from the Higher School of the KGB USSR. For a number of years worked on the subject of political repressions in the Soviet Union, the author of over 40 books and articles on the history of domestic intelligence services of the Soviet period. He has a site - (http://mozohin.ru/), which presents the documentary materials from the Archive of the President of the Russian Federation, the State Archive of the Russian Federation, the Russian Center for the Preservation and Study of Documents of Most Recent History, Central Archive of the Federal Security Service of the Russian Federation (FSB). Purpose of the site is to show the activity of state security objectively.